From Pulau Tiga to the Pearl Islands, the most memorable players from the show's first seven editions compete for $1 million and bragging rights as the ultimate Survivor. The 18 castaways are divided into three tribes: Chapera; Saboga; and Mogo Mogo, named for islands off the coast of Panama where the latest game takes place. Among the contestants are four former winners (Richard Hatch, Tina Wesson, Ethan Zohn, Jenna Morasca) and one runner-up (Colby Donaldson). Living conditions worsen, but a hero emerges for one tribe, and one castaway continually fails in efforts to contribute to camp life. A second player is voted off the islands. Richard tangles with a shark while fishing; Rupert and Jerri have a heated argument; romance starts to bloom between two castaways; a crate of supplies is delivered via parachute to the winning tribe of the reward challenge; a third player is voted off the islands. A tropical rain helps kindle a romance between Boston Rob and Amber; several players are hit and knocked down while blindfolded during the immunity challenge; a fourth castaway is voted off the islands. A fifth castaway is voted off the islands. A sixth castaway is voted off the islands. A seventh castaway is voted off the islands. 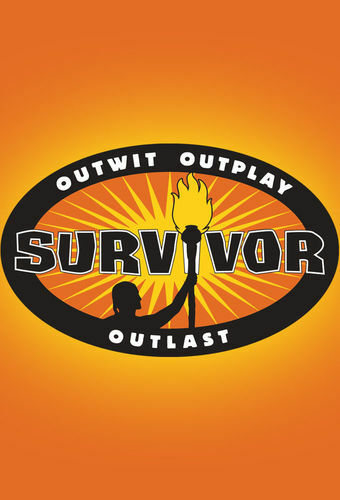 The romance between Rob and Amber heats up; both tribes must send one of their own players to the opposing camp; an eighth castaway is voted off the islands. Highlights of the first 24 days on the islands off the coast of Panama. A ninth castaway is voted off the islands. A 10th player is voted off the islands. An 11th player is voted off the islands. A 12th player is voted off the islands. A 13th player is voted off the islands. A 14th player is voted off the islands. The ultimate bragging rights are bestowed upon a veteran player with the crowning of a winner. The final four castaways are whittled down to two and the seven-person jury votes for the champion. The 18 castaways reunite at New York City's Madison Square Garden to discuss the eighth edition of the series.